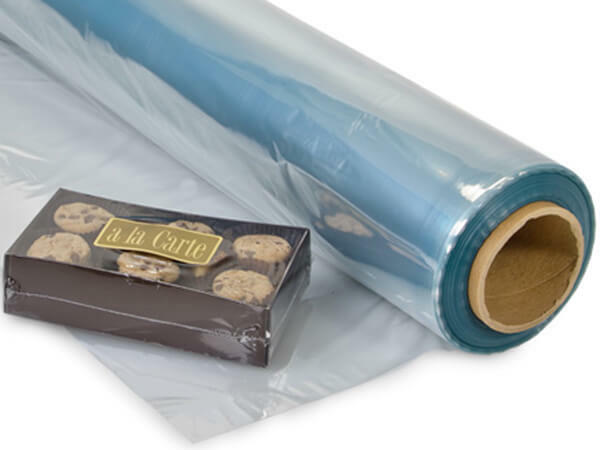 PVC Shrink Film is center folded, so a 24" wide roll will open up to 48" wide. PVC Shrink Wrap has a crisp, cellophane feel. It is crystal clear film for use by heat sealing equipment OR for working with scissors and tape. No system needed. Available in strong 100-gauge rolls of 100 or 500 feet. Low odor, high clarity, and the best film available!